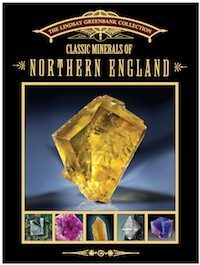 The Arkenstone has teamed up with The Mineralogical Record to publish several books focusing on exceptional, famous mineral collections. In an effort to provide additional information to curious collectors, we have provided these Arkenstone publications free online. These books provide collectors the opportunity to read about specific mineral localities, histories, and collections. The full-color publications include dozens, if not hundreds of images of stunning mineral specimens. Not only are these beautiful to look at, the books provide valuable learning tools and cover collections that would be otherwise hidden in history. The supplements have this added benefit preserving mineral collection legacies. The Mineralogical Record has generously given us permission to make these texts available to read online as e-books. Without a doubt, China is one of the new hot spots for mineral collecting. 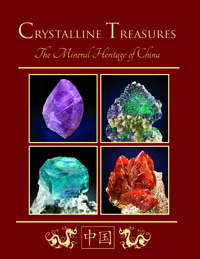 Crystalline Treasures - the Mineral Heritage of China not only details the history of mineral collecting in China, but also contains articles explaining key cultural differences between western and Chinese collecting styles. A significant mineral specimen photo folio is included in Crystalline Treasures with mineral specimens separated by province. You can also visit the Crystalline Treasures site. While many Americans are unfamiliar with these British mineral localities, the Lindsay Greenbank Collection contains many of the world's finest mineral specimens from Northern England. These mineral localities remained somewhat mysterious to collectors until this Mineralogical Record supplement was published after a year and a half of work. In addition to 40 locality photos, maps, crystal drawings, and old historic specimen labels, over 100 superb mineral specimens are printed in full color. Lindsay Greenbank's Mineralogical Record biography is available here. 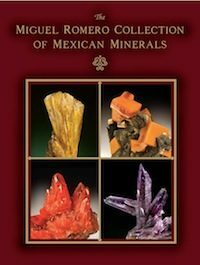 This is clearly one of the finest collections of Mexican minerals ever assembled, and the legacy of the Miguel Romero Sanchez Collection is more than deserving of being preserved and captured. Rising from humble beginnings, Miguel Romero eventually became the Mexican national leader in mineral collecting. This Mineralogical Record supplement covers a mineral collection that was initially private and secretive, but gradually became well-known and beloved by the public. Many of these mineral pieces are now considered Ikons of the mineral world. Read more about Romero on the Mineralogical Record.